In addition to visiting Mérida's vast historical/artistic heritage, you can also participate in other tourism alternatives that provide fun and a pleasure for the senses. Actively enjoy the natural environment, relax in an age-old spa, enjoy the delicious cuisine of Mérida accompanied by good wine, and discover the city and its surroundings from different points of view. Below are some ideas. 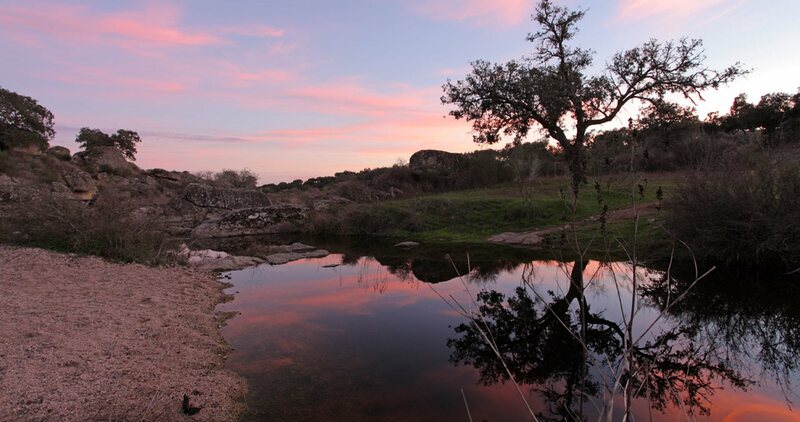 The extensive municipality of Mérida houses numerous examples of the different characteristic biotypes of Extremadura, all of which have a remarkable richness in terms of biodiversity – making Merida an ideal place for ornithologists and amateur bird watchers. The urban environment and its immediate surroundings provide nature tourists with a very pleasant surprise. The Cornalvo Nature Reserve (18 km away, Exit 334 of the A-5 Expressway) has a uniform landscape that is broken up by two main mountain formations: Sierra Bermeja and Sierra del Moro, the natural boundaries of the Nature Reserve. The main water course is the Aljucén River, which crosses the Nature Reserve from its northernmost part to its western boundary. One of its most representative elements is the Reservoir, which contains a Roman Dam. The majority of the Nature Reserve is covered by Holm Oak and Cork Oak meadows, as well as wooded areas with thickets and bush; however, you can also see species such as the strawberry tree, mastic tree, rockrose, and common fern. Additionally, numerous species of vertebrates can be admired; a noteworthy mammal includes the wildcat, which is endangered, and, amongst the amphibians, worthy of mention is the Iberian midwife toad. Likewise, from the ornithological point of view, up to 155 species are present including the black stork, griffon vulture, Spanish imperial eagle, black kite, and the black-winged kite, amongst many others. This space is classified as an SPA (Special Protection Area for Birds). At the Cornalvo Interpretation Center, all the paths and trails that the Nature Reserve and its surroundings have can be checked. Guided, group walking tours are frequently organized. 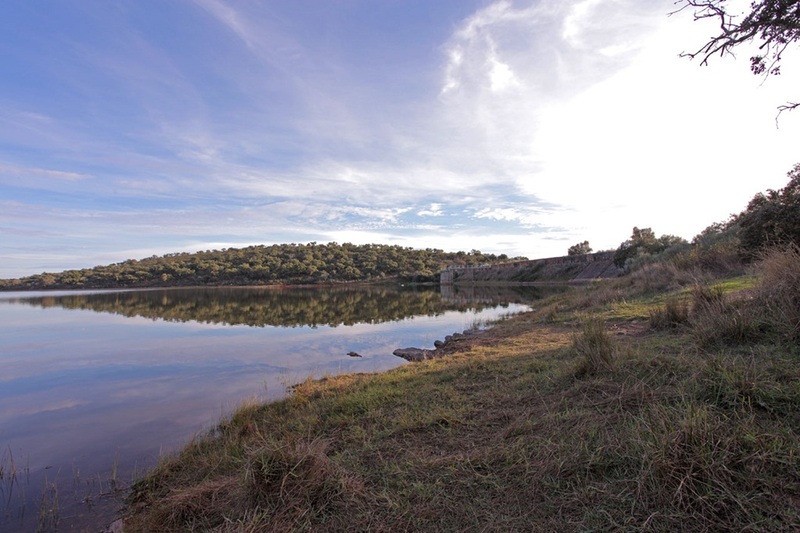 The Proserpina Reservoir is one of the great recreation areas of the city, especially in the summer, thanks to the bathing areas that have been set up, in addition to the installation of refreshment stands and the construction of perimeter roads around the Reservoir. Nearby, you will find significant extensions of meadows that host bird species such as the Short-Toed Eagle, Booted Eagle, Black Kite, and White Stork. On the banks of the reservoir you can see Black-Crowned Night Herons, Little Egrets, Grey Herons, etc. Seventeen kilometers south of Mérida, in a place of unparalleled beauty, baths with salubrious waters were built (balnea) during the times of the Flavian dynasty. These baths became known as Aquae. You can still enjoy the healing waters of these baths that have proven effectiveness, as can be read in the inscription on display in the facilities' access courtyard. In said inscription, the Governor of Cappadocia, Licinius Serenianus, thanked the Goddess Juno for healing his little daughter, Varinia Serena. A good part of the original structure is still preserved: a rectangular building with two circular twin rooms. These rooms have walls with exedras that support the weight of the enormous hemispherical domes. Said domes culminate with a circular oculus similar to those of the famous Pantheon in Rome, through which light and air enter. Currently, the spa combines traditional therapies with the latest trends in wellness, and hydrotherapy. But the reason for being of this spa, of its history, and of its existence has not changed: the water. And, over time, it has upheld its goal of providing health and well-being. Eight kilometers from Mérida, atop a Roman settlement, a winery can be found sheltered by an imposing granite mass, the Sierra de La Moneda Mountain Range. Said Mountain Range, which is famous for its cave paintings, has a dense Mediterranean forest at its feet that accompanies our wines with balsamic aromas. The outer appearance of the winery resembles a typical farmhouse from Extremadura, with a large interior courtyard surrounded by spacious porches and a beautiful lookout point. Here, all celebrations revolve around the care of the vineyards and wine, as well as the wine making and aging processes. Wine lovers, and simply those who are curious, can enjoy a cozy tasting room and a shop where they can buy wines and typical products from our region. Balloon flights make any day an unforgettable one. A unique opportunity to discover the city from the air, showing visitors a completely different view. An activity for individuals, groups, businesses, families, etc. Suitable for people of all ages, safe, fun, and –because of its special characteristics– devoid of vertigo or any other abrupt sensation. A peaceful alternative that is also quite exciting. Flights to suit all tastes, from the more traditional to the more exclusive and special – they leave their mark on everyone. Enjoy a night tour through the most special corners of the city center. A two-hour walking tour that closely examines the legends and myths from all eras of Mérida. Archaeological hikes through the countryside of Mérida to enjoy the past of Emerita Augusta while basking in nature. Routes with low difficulty levels and small groups for those who love archeology and the environment. Various activities to participate in alone or with friends in which the main protagonist is our cuisine. Learn by cooking and tasting your own dishes. A 30-minute panoramic tour around the most emblematic monuments of the city. 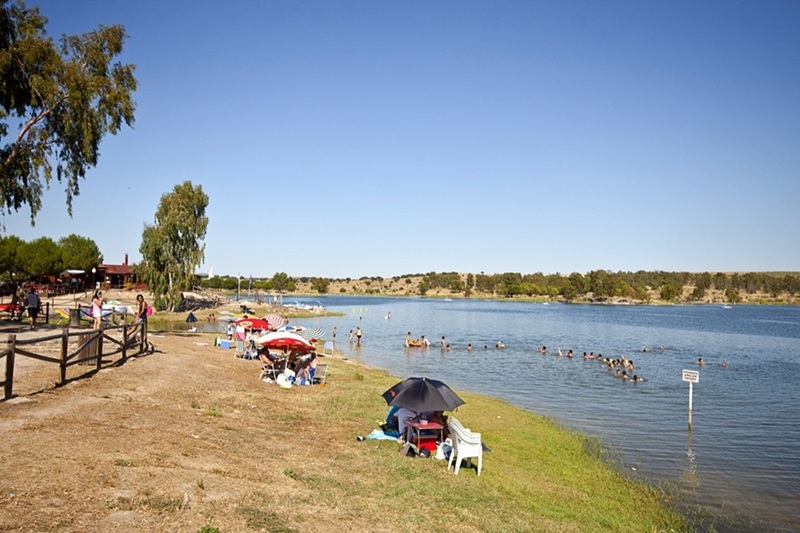 Rental of cycles and bikes around the Guadiana River as it passes through the city.